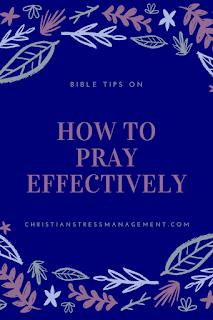 Christian Stress Management: How Can I Pray Effectively? 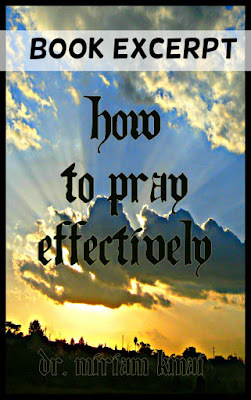 How Can I Pray Effectively? 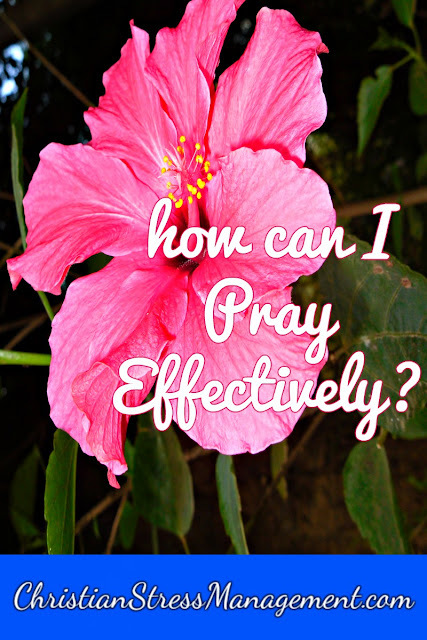 Have you been asking yourself "How can I pray effectively?" Therefore if you are praying for God to give you a spouse, you have to see yourself walking down the aisle with them on your wedding day. If you are asking God for a baby you have to feel yourself cradling your child in your arms. Therefore believe with your mind and confess with your mouth the thing that you are asking God to give you. If for example you are praying for the healing of your body, believe with your mind and declare with your mouth that since God is the One Who created your body, He is also able to heal it. If fiery darts of doubts enter your mind and one part starts thinking, “My prayer will be answered” while the other thinks, “My prayer will not be answered”, decide to believe that God is able to answer your prayer because With God all things are possible. (Matthew 19:26) Use this Scripture as your shield of faith so that you quench those darts before they stop you from receiving anything from the Lord. If your emotions try to destabilize you by tossing you to and fro between “I don’t feel like my prayer was heard” and “I feel I will get an answer”, cling to With God all things are possible (Matthew 19:26) until your emotions settle and you are once again certain that God has heard your prayers and He is answering them. 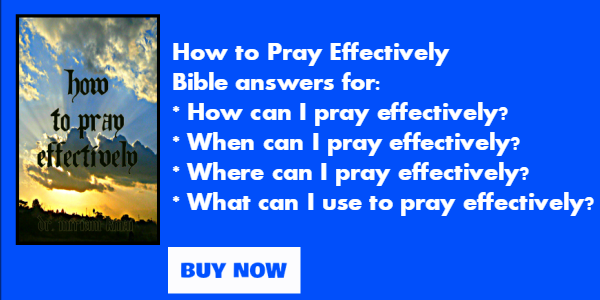 If you want to pray effectively, you have to ask according to God’s will for you. Therefore first pray to know God’s will for your situation so that you can pray more effectively by aligning your prayers to His will. 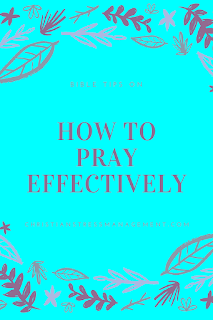 If you want to pray effectively, you must ask in Jesus’ name. This blog post is an excerpt of the book How to Pray Effectively. 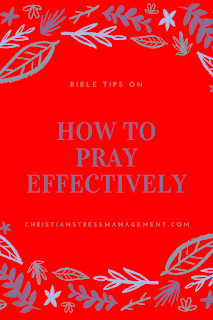 To learn more read How to Pray Effectively which teaches 15 principles from the Bible that help you achieve more with your prayers. 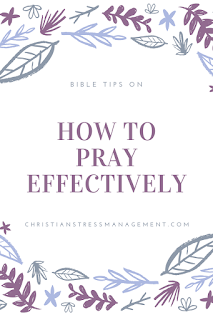 I read a book a few years ago that helped me to pray effectively and that is to pray "Thy will be done" at the beginning of my prayers, instead of tacked on at the end like an afterthought. This concept has changed my praying and I have seen two things happen: my faith has grown and my prayers are prayed with the focus on Him and not my selfish desires. My prayers are answered! God is good! That is a great principle - beginning our prayers with "Thy will be done" - because if we are truly focused on living for God, we should be seeking to do His will regardless of our feelings and wants. Thanks for sharing. Great insights on the prayer of faith. Thanks for sharing. Thank your for your encouragement and comment. You are most welcome and I agree that there is a lot of power in prayer. We just have to tap into it by praying effectively.